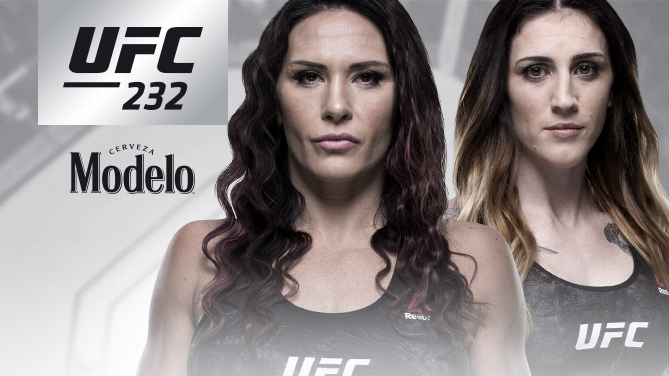 Two of the UFC's best will collide on the stacked UFC 232 card on December 29, as former bantamweight title challenger Cat Zingano moves to 145 pounds to face off with former Invicta FC champion Megan Anderson at T-Mobile Arena in Las Vegas. In the UFC 232 main event, which airs live on Pay-Per-View, Jon Jones returns to face Alexander Gustafsson in a rematch for the UFC light heavyweight title. Plus, it's a women's MMA SuperFight, as featherweight champion Cris Cyborg meets bantamweight titleholder Amanda Nunes. Fresh from a July win over Marion Reneau, Zingano is more determined than ever in her quest for UFC gold, and given her previous victories over Nunes, Miesha Tate and Raquel Pennington, Zingano has the tools to get the job done. Looking to put a halt to her plans is Australia's Anderson, who has won four of her last five bouts, with all of those victories coming by way of knockout.